Maintain BUY with SGD8.20 Target Price pegged to 22x FY20F (Jun) EPS, offering 9% upside plus 4% FY19F yield. Singapore Exchange’s 2QFY19 earnings are in line with expectations. 2QFY19 (Jun) net profit of SGD97m was up 9% y-o-y. 1HFY19 net profit represented 50% of our pre-results FY19F – in line with expectations. 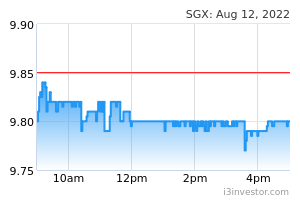 SINGAPORE EXCHANGE LIMITED (SGX:S68)'s 2QFY19 securities average daily value (SADV) declined 14% y-o-y to SGD0.98bn. We forecast FY19 SADV at SGD1.07bn, which is slightly above the 1HFY19 SADV of SGD1.03bn. Our FY20 SADV assumption is SGD1.29bn, as we expect to see stabilisation by then. We are bullish on Singapore Exchange’s derivatives volume numbers, as the China A50 Index Futures saw 2QFY19 contracts traded surging 35% y-o-y. We believe market volatility will keep derivatives volume firm, though we have conservatively assumed FY19 derivatives average daily contract (DADC) of 897,000, versus 2QFY19’s 938,000, and 1HFY19’s 900,000. We cut Singapore Exchange’s FY19F net profit by 2% as we lowered our FY19 SADV assumption to SGD1.07bn, from SGD1.11bn, with partial offsetting effects from a higher DADC assumption. The board of directors declared an interim DPS of SGD0.075 payable on 12 Feb. This is higher than SGD0.05 for 2QFY18. Singapore Exchange is on track to hit our target SGD0.31 DPS for FY19 – which translates to a yield of 4%. 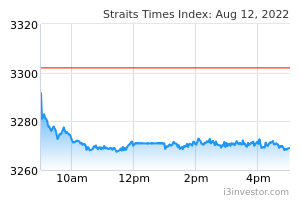 Singapore Exchange remains in a net cash position, with a monopoly over trading of Singapore-listed equities. Our Target Price of SGD8.20 is pegged to 22x FY20F EPS, ie the 4-year mean. Hypothetically, if FY20F SADV was 20% lower than our base case at SGD1.03bn, Singapore Exchange’s fair value would still be relatively intact at SGD7.21. Key risks are global economic fluctuations and geopolitical developments.